You're going to want a pair. Charlene Holy Bear is one of our 2018 TODAY Style Heroes. Click here to see the full list! It's hard to miss Charlene Holy Bear in a crowd — if you're looking down, anyway. When the Native American artist goes out in Santa Fe, New Mexico, she's often wearing a pair of hand-beaded Vans. They're a wearable work of art that prompt second glances wherever she goes, and also a walking advertisement, since Holy Bear beads the shoes herself. "It's actually pretty funny — I don't really have a fashionable sense, so to speak," Holy Bear told TODAY Style with a laugh during an interview at her home. “Most of the time I dress very plainly. My wardrobe consists of black, blue, gray and silver." While Holy Bear might not consider herself a style pioneer, she has nonetheless captivated the fashion community. Earlier this year, Vogue ran an article about her beaded Vans, and since then, she's been flooded with requests for the custom shoes, which take about two weeks to complete. She's often stopped while wearing them, or shouted at across the street: "Hey, you're the lady who makes the beaded Vans!" And it's all by accident. Holy Bear made her first pair of Vans for her 9-year-old son, Justus, when they were on their way to the Gathering of Nations about five years ago, and she realized too late that he didn't have any traditional regalia. "I wanted him to have something that would give him a sense of identity at a powwow where hundreds of tribes go," said Holy Bear, who is a member of the Standing Rock Sioux Tribe. "I didn't have time to bead his regalia, so I wanted to give him something special to stand out in the crowd." He didn't have any regalia, but he had a pair of Vans. Holy Bear, who caught a ride to the powwow with a friend, spent the drive beading the shoes and then stayed up all night in a hotel room to finish them. "He was so excited about them," she said about Justus. "He immediately put them on and started running around in them." Holy Bear, an award-winning doll maker, has been beading since she was 5 years old. She's often featured in Native American art markets and is well known by her community in Santa Fe, but until the Vans, most of her work was more traditional. Now she's bridging her indigenous culture with modern fashion — and in doing so, welcoming a whole new clientele. "When the Vogue article broke, I woke up to 500 emails," she said. "That was the first time in my life I've ever seen my mailbox say 500. Normally, it's like, one here. And it's usually Old Navy asking me to shop with them. Or Target or something." The connection between the Vans and her culture isn't all random. In fact, Holy Bear said the skate shoes remind her of moccasins: "They're meant to last. They're everyday wear. And moccasins in our culture were everyday wear." "They're kind of constructed the same," she continued. "They have a basic vamp and then you decorate that vamp, and then you construct and create the shoe." 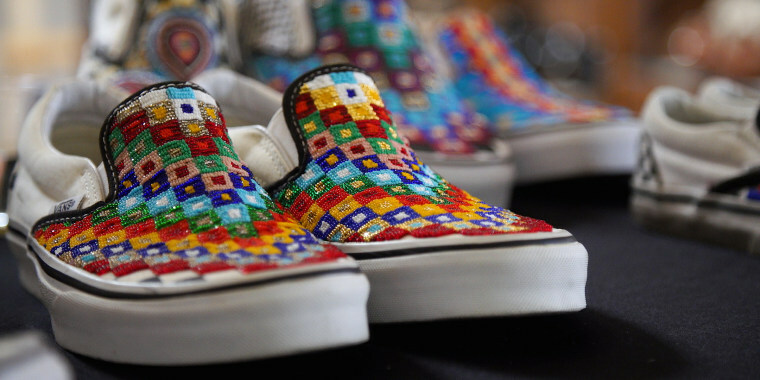 The popular checkered print of some Vans reminds Holy Bear of a traditional design used in Native American art, called the tripe design, which has a larger meaning in her culture. "It's a variation of it," she said. "And what it actually represents is the stomach, and the reason why that's so important is because Native tribes used all of the animal. For us the buffalo was sacred. Later on, as the tribes were moved onto the reservations, it became the cow, because that's what was provided. We used it for clothes. We used it for housing. We used it for cooking instruments." While much has been made of fast fashion's appropriation of Native American culture (remember Urban Outfitter's Navajo underwear? ), Holy Bear thinks of what she's doing as separate from that debate. "I know we have a touchy subject with Native fashion and mainstream fashion," she said. "Mainstream fashion, whether inadvertently or not, has a tendency to incorporate certain Native designs." "A lot of the Native designs are actually very sacred to us," she added. "You know, we have Coachella and the headdresses. And women don't wear headdresses traditionally, unless they've earned the honor in certain tribes. We have Urban Outfitters using the term Navajo, which is actually trademarked by the tribe itself. "I think in my case, I'm kind of doing something a little bit different," Holy Bear continued. "I'm actually applying my aesthetic, my tribal identity, my sense of design, as well as just being an artist, onto a pair of shoes. And in this case, it was just a pair of Vans that caught my attention because of the graphics." The beaded Vans could serve as a metaphor for the life Holy Bear and her son live: thoroughly modern, but still tethered to their culture as Native Americans. "It's kind of interesting to talk to people," Holy Bear said. "They think you live on a reservation. And there is kind of a difference. There are like two subcultures. There's a reservation lifestyle and there's the city lifestyle. And I happen to be a city Indian, so to speak. Or an urban Indian." She still abides by many of her tribe's traditions. Her son's hair, for instance, is kept long. "I wanted my son to have long hair because I've always admired it and I come from a tribe where our men had long hair," Holy Bear said. 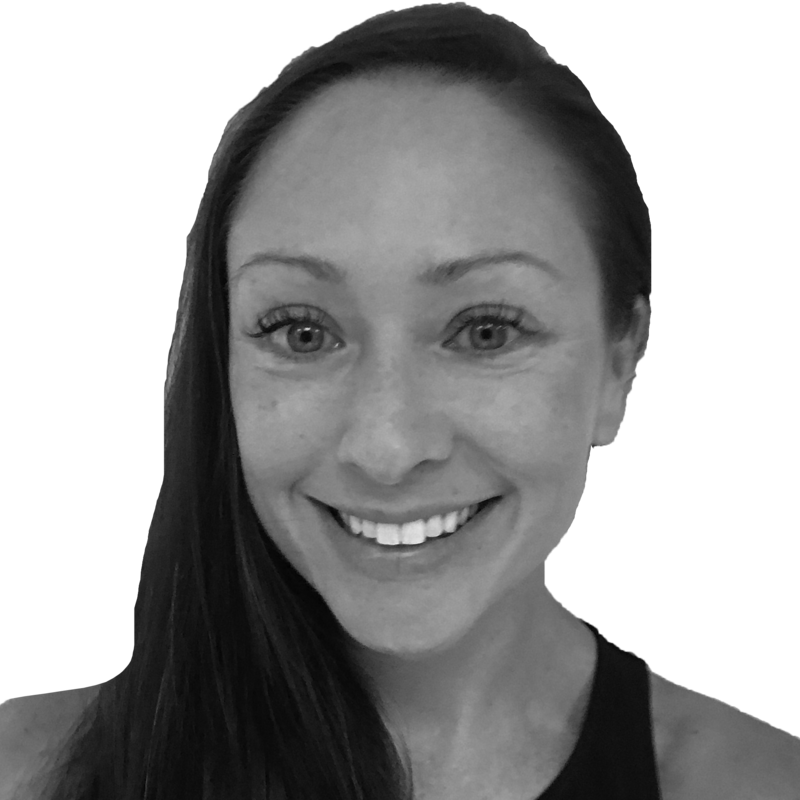 Yet when her son's grades started to suffer a couple of years ago, around the same time she noticed a drop in his confidence, she wondered if it had something to do with his hair. "I started to realize that he was the only boy (in class) with really long hair in a braid," she said. "I remember reaching out to people and having men, traditional men, talk about their experiences at school. And one of them told me a story about how he used to have long braids, and the kids would bully him and tie his braids to the playground (equipment)." So she seeks out mentors for Justus: Native men who prove to him that it's OK to be different. "All these men kind of banded together and really (said), 'You're doing good, Justus. You're fine. You know, having long hair is really good,'" Holy Bear said. She feels a particular kinship with other Native American artists, some of whom she only sees once or twice a year, at artist markets. "I grew up with the Santa Fe Indian Market," she said. "And my son has completely experienced that. I've been taking him to markets since he was 8 months old. It's not only a community, but it's also family. You make friends, really great friends, with fellow artists." "They all know him because I'm a single mother and so they help me out when I need someone to watch him," she added. It’s a safe bet that as her notoriety continues to grow, she’ll keep her network close.